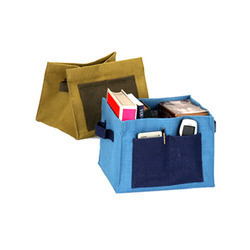 Offering you a complete choice of products which include jute conference bag, jute products for office use, eco friendly jute conference folder bag and jute office bag. We are among the acclaimed names in the industry for manufacturing and supplying ''Jute Conference Bag" latest fashion trends, the offered jute folder for conference is known for its eye-catching appearance. The offered jute folder is customized as per the colors, designs and patterns, provided by the patrons. By providing superior quality of Jute Products For Office Use, we believe in making a permanent association with our patrons. Their lightweight, alluring design, colorfastness and trendy appearance, make these jute products ideal of office use. Large production capacity has helped us in meeting the bulk demands of the offered jute products in the most organized manner. 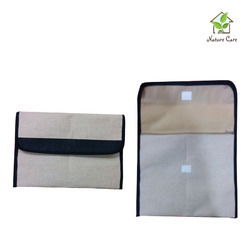 Keeping the track of latest development in this domain, we have been able to offer the superior quality of Eco Friendly Jute Conference Folder Bag. Available with us in various sizes, colors and designs, the offered ecofriendly jute conference folder bag is highly demanded in the market. 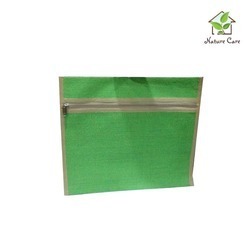 Quality of the offered eco-friendly jute conference folder bag is never compromised at our end, by conducting different quality assurance procedures. 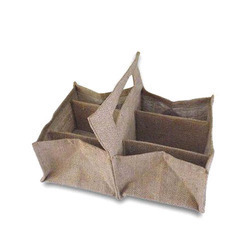 Leveraging by the industrial experience of this domain, we have been able to manufacture, supply and export the finest grade of Jute Products For Office Use. To design the offered jute products for office use, we make use of latest technology and quality assured dyed jute fabric. The offered jute products are available with us in both customized and standard sizes, colors and designs.